Our Syracuse tractor trailer and truck accident lawyers are well aware of the dangers of driver fatigue in commercial truck drivers. Driver fatigue is a major safety concern in a lot of human endeavors, but especially with operating machinery, including commercial vehicles. Fatigue results from a lack of sleep and boredom. When you combine long, boring hours on freeways and highways where the driver has little to do but steer his truck or tractor trailer, fatigue is already a problem. But when you combine that boredom with lack of sleep, the fatigued state can rise to extremely dangerous levels. 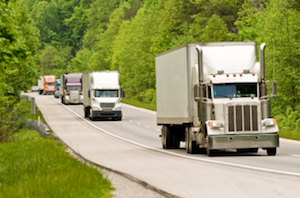 Fatigue negatively impacts the truck driver’s response time and observation powers. Even if the driver doesn’t fall asleep at the wheel (which does happen! ), his response and reaction time and judgment will be impaired. He may not “see” the stop sign in time, he may not react to another vehicle in time, he may not brake in time, or he may inadvertently let his speed rise beyond what is safe and permissible. 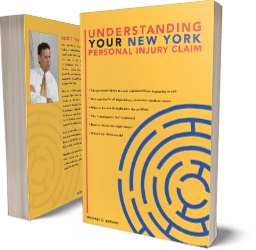 Yes, our tractor trailer and truck accident lawyers know that driver fatigue is a major cause of truck accidents in Syracuse, New York and elsewhere. In fact, we can tell you that, based on national statistics, 80% of trucking accidents are caused by truck driver error. Although it is hard to know for sure what percentage of these accidents is caused by driver fatigue, experts estimate it’s about 15%. The main cause of dangerous driver fatigue is long hours on the road without enough sleep. That’s why federal and state regulations limit the number of consecutive hours commercial truck drivers can be on the road, and requires them to keep an accurate log of their driving hours. Our laws are thus trying to AVOID driver fatigue. The authorities are pressing trucking companies to BE SAFE by avoiding long consecutive driving hours. Unfortunately, there are forces that are pushing truck drivers in the opposite direction. Truckers are under pressure to drive extra hours because they are often underpaid. They need to support their families, and sometimes the only way they see to do this is to “cheat” a little on the number of hours they drive. They might, with their employer’s complicity, be tempted to “cook the books” a bit, i.e., alter the driving log they are required to keep in their truck. This would be a crime, but it is one that all too often is committed. The employer itself might pressure the driver to “cheat”: They want their truck drivers to complete deliveries and might be short-handed with too few drivers. Do you think driver fatigue is only a small issue? Think again. A fourth of truck drivers ADMIT they fall asleep at the wheel – at least very briefly – once a month on average. Truck drivers will usually deny that they were sleepy or fell asleep when they are asked, under oath by our Syracuse New York tractor trailer and truck accident lawyers, about the reasons for their driving mistake. But sometimes the surrounding circumstances and evidence tell a different story. It is important for your lawyer to know all the driver fatigue rules and regulations, which are amended from time to time, and we are on top of them all! For example, on July 1, 2013 the Federal Motor Carrier Safety Administration promulgated new regulations to crack down on driver fatigue. Under these modified rules, commercial truck drivers are allowed to work a maximum of only 70 hours a week (it was 82 before). Also, the new rule requires 34 hours of rest/break after a 70-hour work week, and drivers must take 30-minute breaks during an eight-hour shift period. If you have been involved in an accident in or around Syracuse or anywhere in upstate New York, and you believe the accident have been caused by driver fatigue or any other negligence, then you should get in touch with our tractor trailer and truck accident lawyers as soon as possible. We will help you investigate your claim and tell you free of cost whether you have a claim worth pursuing.